Boy, this is a tricky one. On the one hand, Steven Pinker is one of the most respected scientist and thinkers worldwide, and he’s responsible for some of the most enlightening books out there. On the other hand, he just might be out of his league with this one. Enlightenment Now should be commended for the scope of its subject: measuring trends of health, advancement, and human happiness throughout the world. At the same time, I’m not so sure about the conclusion he makes with his analysis. The basic argument of Enlightenment Now as that humanity has been on an upward trend ever since the Enlightenment: poverty is down, wealth is up, health is up, and happiness is up, and most of this goes unnoticed or unreported. What he downplays is just how much work in took to get to where we are now. To be sure, I think what Pinker is doing here is walking a very slippery slope. He emphasizes again and again that there is a still a lot of suffering, poverty and starvation left in the world but that, in spite of this, the world has slowly been turning into a better place. He doesn’t deny that there’s still a lot of work to be done. The problem is that Pinker’s outlook is very simplified and a excessively optimistic. For example, he downplays the poor’s struggle to improve their conditions. Things are getting better, yes, but what obstacles are in place in the present preventing us from even greater progress. We might be more “wealthy” now than we’ve ever been (for example, computers were unimaginably expensive 50 years ago, now we all carry one in our pockets), and income inequality is getting worse (which he admits), but this does not reflect the democratic spirit he’s touting. Pinker claims countries with the most inequality rank as the richest worldwide (Really? Say more, please!) and according to him this would usher in democracy, but it’s very doubtful whether a true democracy would allow for such inequality. Also, Pinker is quick to point how the west is war-free and how most wars and poverty are concentrated in the Middle East, but fails to mention if (how) the west is involved. I certainly love the scientific focus on progress, how we need to embrace it in our decision-making process since it’s historically led us down the right path, and the last chapter focusing on “humanism” over religious, liberal, and green “isms,” but it’s quite a journey the reader has to make to get there. This is a long book that feels even longer. 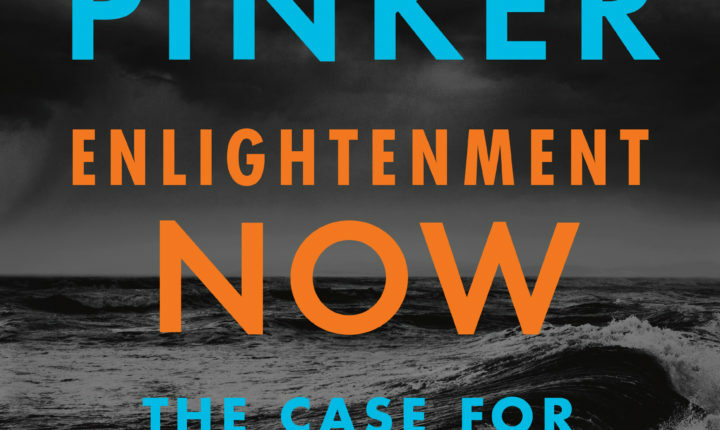 Enlightenment Now is a mixed bag of hopeful encouragement and oversimplified studies, and definitely has worthwhile sections. I just expected more from someone of Pinker’s caliber.